Dermal fillers and injectables have become extremely popular in the last few years as a way to maintain a youthful look and reduce wrinkles. With so many choices and types of fillers on the market, choosing the right product for your needs can be confusing. Here is a simple guide to understanding these anti-aging miracles. Wrinkle-freezers are derived from the botulinum toxin and work two-fold: They eliminate current wrinkles and fine lines, and inhibit new wrinkles from forming by preventing muscle contractions. Many doctors are using wrinkle-freezers on younger patients as an anti-aging program. Botox is probably the best known of the fillers and is approved for use on lines between the eyebrows that form a I, II III or crow’s feet around the eyes. Botox is a protein derived from the botulism toxin that is injected under the skin to smooth out or eliminate wrinkles on the face. It works by relaxing or paralyzing the facial muscles, resulting in a smooth face. Once injected, you’ll see its full effects (which last three to four months) within three to five days. 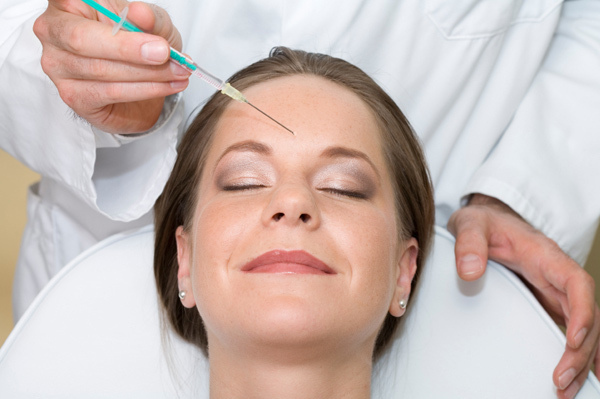 Recently FDA-approved Dysport is the newest competitor to Botox. Like Botox, it contains botulinum toxin A as its active ingredient. Facial wrinkles and frowns are reduced or vanish because the ingredient relaxes or temporarily paralyzes the contracting muscles that cause them. The main difference between Dysport and Botox is that the former affects a wider muscle area than the latter and requires fewer injections than Botox. It is also costs less than Botox, making it an attractive choice for candidates. Results can usually be seen in one to two days and last three to four months. Line fillers are made of hyaluronic acid, a substance naturally found in the body, suspended in a gel. Hyaluronic acid fillers are excellent for plumping up lines and wrinkles because they attract water. They are ideal in correcting nasolabial folds, thin lips, wrinkles (especially above the lips), reducing under-eye circles and filling out the chin or cheeks. Hyaluronic acid fillers cannot correct saggy skin or bone structure. Results are immediate and last approximately six to nine months. Initially, the treated area may feel a little hard and lumpy under the skin, but this smoothes out with time and massage, if needed. The most common side effect is bruising. Both Restylane and Juvederm are popular hyaluronic acid fillers. The difference between the two is the consistency of the gel, and preference depends on both the patient and the doctor. Perlane is a “mid-dermal” hyaluronic acid filler product. As a sister product to Restylane, Perlane is designed for more pronounced facial folds and wrinkles such as those on the sides of the mouth. Structural fillers help stimulate collagen production for smoother skin and can be used to correct moderate to severe volume loss in the face. Generally, structural fillers are better for someone with thinner skin and significant volume loss. Sculptra Aesthetic stimulates collagen production and is good for deep nasolabial folds, volume loss in the cheeks, and wrinkles. Usually, three to four treatments are needed over time, and full results are usually visible after two years. The benefit to Sculptra Aesthetic is that it can correct more severe volume loss, and the results are usually long lasting. Radiesse also works to stimulate new collagen production while adding volume and lift, and is good for moderate to severe wrinkles, nasolabial lines, facial fat loss and volume loss in the cheeks. Unlike Sculptra Aesthetic, Radiesse is a single-session treatment that is repeated once the results wear away.